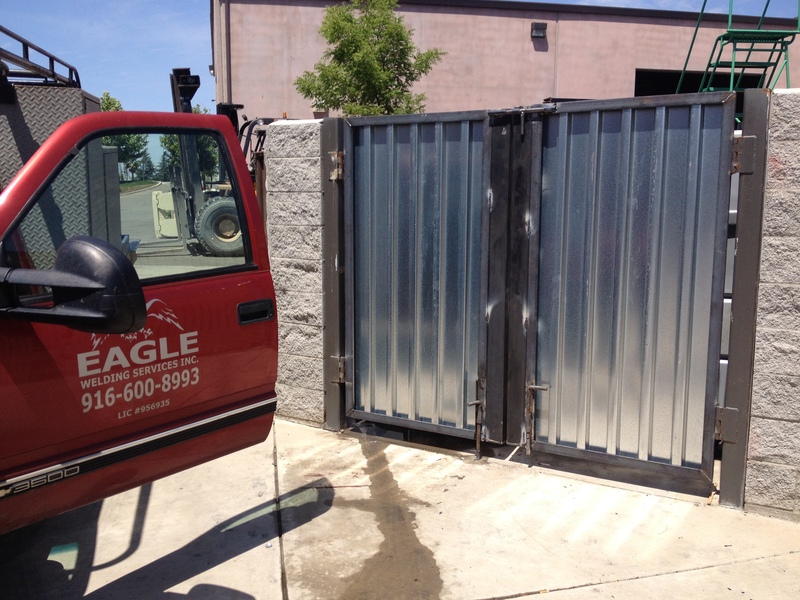 Trash Enclosure Gate Repair | EAGLE WELDING SERVICES INC. They say a picture is worth 1000 words so, I don’t think I need to add much to it. 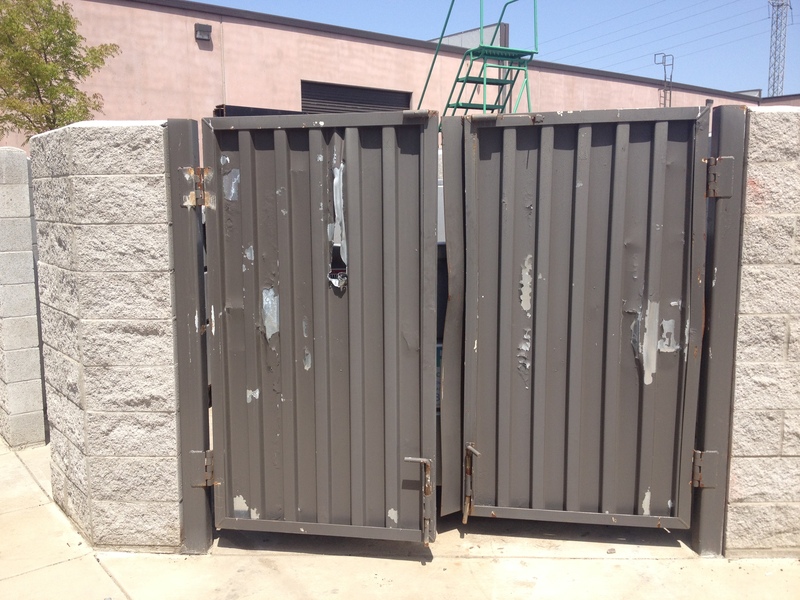 We took the damaged gates and disposed of them at the metal recycler. These replacement gates were fabricated in our shop then installed.